If Americans have the impression that there is an alternate reality that exists within the confines of the Washington Beltway, the latest figures on illegal immigration will do nothing to change their minds. New data from the Pew Research Center reveal that the number of illegal aliens living in the U.S. has increased by about 400,000 since President Obama came to office. According to Pew, the illegal alien population of the U.S. stood at 11.7 million in 2012, up from 11.3 million in 2009. What’s so strange is that this increase – roughly the equivalent of the population of Oakland, California – occurred during a period when supposedly there was “net zero” illegal immigration, and while to Obama administration was allegedly deporting illegal aliens at a record pace. Even in Washington, where fuzzy math is the norm, it is a little hard to explain how four years of zero net illegal immigration, plus 1.4 million (claimed) deportations, could result in a 400,000 increase in the illegal alien population. Moreover, there is strong reason to believe that when the 2013 figures are tallied they will show an even sharper increase in illegal immigration. 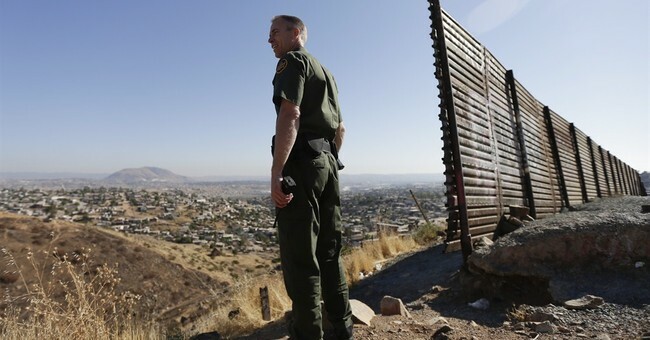 Through the first six months of the current fiscal year, border apprehensions – a good barometer of the illegal immigration flow – were up 13 percent over the previous year. Developments during the second half of the fiscal year have only provided illegal aliens with more reason to enter or remain in the U.S. illegally. Talk of a massive amnesty took legislative form in a bill that easily passed the Senate in June. Meanwhile, the Obama administration took further steps to reassure illegal aliens that they would not be removed, or even inconvenienced, unless they are convicted of a serious crime. Moreover, the administration has signaled that specious claims of political asylum can be used by economic migrants to gain entry to the U.S., even by those who have no intent of ever showing up for a hearing. At the same time, state and local governments are offering encouragement to illegal immigration. Most recently, the California Legislature approved driver’s licenses for illegal aliens, joining seven other states that have already extended this privilege. California, and other jurisdictions, have also taken steps to further shield illegal aliens, going so far as refusing to honor federal detainer requests for illegal aliens who in their custody. Thus, all of the hype about tighter enforcement and amped-up deportations has been just that: A carefully crafted fabrication designed to overcome the public’s resistance to amnesty and immigration increases. Given the obvious lack of sincerity (and, perhaps, truthfulness) revealed by the new illegal alien population data, there is even less reason for the public to feel confident that immigration enforcement would be effectively carried out after the administration achieves its political goal of securing amnesty for current illegal aliens. Perhaps in Washington, or some other alternate universe, the illegal alien population can increase by 400,000, even while there is zero net new illegal immigration and 1.4 million people are deported. In the universe in which the rest of us live, however, neither the numbers, nor the claims add up. Most importantly at this moment, the House Republican leadership – in whose hands the fate of amnesty for illegal aliens now rests – needs to recognize that granting amnesty in exchange for future immigration enforcement will just repeat the mistake of the past. As the latest data make clear, when it comes to immigration enforcement, there is an inescapable discrepancy between what is being claimed and what is being delivered.